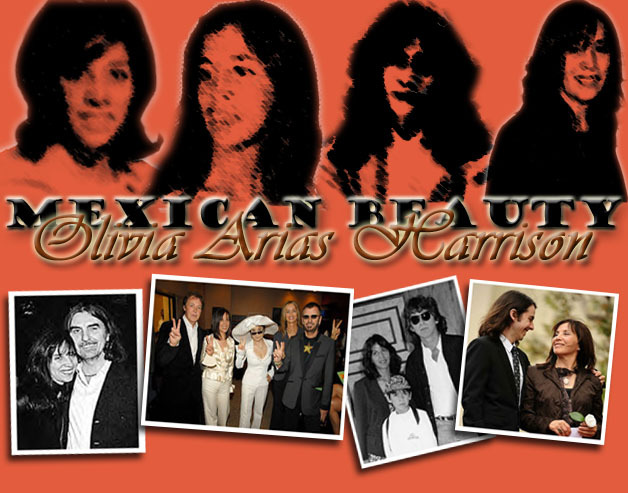 This fan site is dedicated to a lovely and strong-willed lady who was married to George Harrison and a devoted mother to their son Dhani Harrison. This site features any type of information and pictures available to view to learn about her. Enjoy and please come back again! In the guestbook, it has come to my attention that some believe that I personally know Olivia or that I am her. I do not know Olivia under any necessary circumstances. I do not know her email, I do not know her phone number or any of the sort. I don't even know if Olivia knows about this site's existance. If she does contact me and gives me thumbs up, of course I will be pleased and would announce if she desires- I will respect her decision. Please keep that in mind while signing the guestbook. Thank you.